Computer chip maker Supermicro has told customers an investigation into claims Chinese spyware had been inserted into its hardware has found no evidence of malicious hardware in its products. 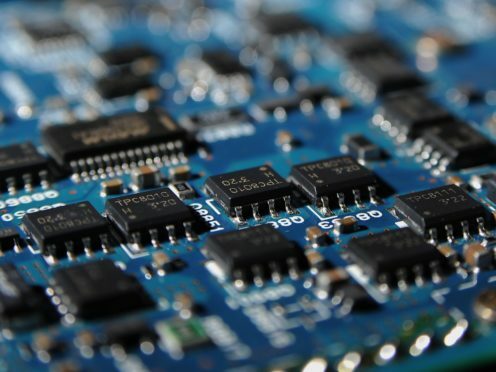 A Bloomberg report in October had alleged malicious chips had been inserted into some of the firm’s products – including those sold to Amazon and Apple – during the manufacturing process, in order to spy on clients. In a letter to customers, Supermicro chief executive Charles Liang said an independent investigation by a third party had found “absolutely no evidence of malicious hardware on our motherboards”. The chip firm has always denied the allegations made in the report, and Mr Liang said the findings of the investigation were “no surprise to us”. Apple and Amazon have also previously denied the allegations. Supermicro’s letter added that it had never been alerted by any government or firms who used its hardware to any malicious activity. “As we have stated repeatedly since these allegations were reported, no government agency has ever informed us that it has found malicious hardware on our products; no customer has ever informed us that it found malicious hardware on our products; and we have never seen any evidence of malicious hardware on our products,” it said. The firm said the investigation involved tests on a range of its motherboards, including older versions mentioned in the initial report that were purchased by other companies, as well as more recently manufactured products.